This section provides an overview of management information systems and how this technology can assist in the collection and analysis of necessary data to understand reentry in your community. A management information system (MIS), also referred to as an automated data system, is a computer system that enables you to record data in a systematic way and helps to manage all aspects of your agency. Ideally, an MIS can exchange data electronically with partnering agencies. Some agencies do not have an MIS in place to record data and continue to rely on paper records, which can only be retrieved manually and are extremely time-consuming to analyze. Though an MIS requires training, support, and maintenance, its advantages far outweigh the time and resources it takes to implement it. What MIS you decide to use is based on your agency's resources, expertise, and compatibility with other systems. Agencies that do not have the resources to purchase a database software package often use Microsoft Access© when developing a database system. In the resource section, we have provided an Access© template and data entry instructions for how to use it. Assigns a unique identifier that follows an individual over time so records can be easily linked to other data systems across agencies. Collects individual data, including program participation, education, employment, and disciplinary problems. 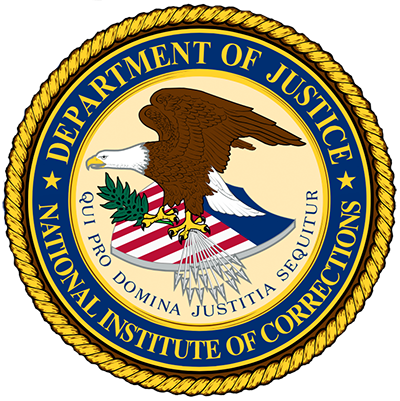 Examines classification scores of recidivists to assist with classification and program placement decisions for future inmates. Assesses the differences in recidivism rates of program participants versus nonparticipants. Evaluates the effect of educational and employment programs as well as substance abuse and mental health treatment on recidivism rates. Identifies habitual misdemeanor offenders at intake and prompts appropriate program referral. Produces easy-to-read aggregate and individual-level reports. We all know the saying “garbage in, garbage out. Your management information system’s (MIS) data will only be accurate if what you input is complete, accurate and timely. The best structured MIS in the world is useless if data are entered sporadically or incorrectly. An MIS is integrated when agencies (e.g., law enforcement, courts, pretrial services, jails, community corrections, medical providers, human service organizations, and community-based organizations) working with the same population have the ability to access and share information electronically. Having an integrated MIS in place increases the ability to provide continuity of care to individuals at time of release. Agencies using an integrated MIS recognize the privacy concerns for the electronic tracking of an individual's sensitive personal information. Firewalls can be developed so only those who have permission and a password have access to the data. In addition, agencies can establish a unique identifier other than social security or a DOC number, which could help track the individual after discharge without the loss of privacy or increased stigmatization that could occur through use of a DOC number. 1. Criminal Justice Research and Evaluation Center, John Jay College. Instructions and Microsoft Access© intake data entry form produced for a social service agency that works with delinquent youths. 2. Davidson County, TN Sheriff’s Office. 2010. Basic client information spreadsheet tracking housing status, program completion, case notes and other reentry items. 3. Davidson County, TN. 2010. Client program and employment attendance spreadsheet records. 4. Denver. A detailed quarterly report tracking inmate outcomes, class attendance, referrals, demographics, and other reentry items. 5. Denver. Multi-Party Release of Information Consent Form (ROI). Crime Prevention and Control Commission Mental Health Committee. PowerPoint presentation and ROI form. Let's revisit what we have learned so far in the Data-Driven Understanding of Local Reentry module. Please answer the following questions. Requires you to enter the same data more than once. Allows you to produce easy-to-read reports. Is incompatible with other data systems. Is too expensive for most correctional budgets. 2. Firewalls pose a serious risk to the confidential handling of data. In this section you learned that a management information system is a computer system that enables you to systematically record data. Such systems minimize the need to record the same data multiple times, increase the accuracy of data, and facilitate meaningful data analysis. However, a management information system is only as good as the accurate data reports it generates.